Regulators operate in a complex environment at the interface among public authorities, the private sector and end-users. As “referees” of the markets that provide water, energy, transport, communications, and financial services to citizens, they must balance competing wants and needs from different actors. This means that they must behave and act objectively, impartially, and consistently, without conflict of interest, bias or undue influence - in other words, independently. What distinguishes an independent regulator is not simply institutional design. Independence is also about finding the right balance between the appropriate and undue influence that can be exercised through the regulators’ daily interactions with ministries, regulated industries and end-users. 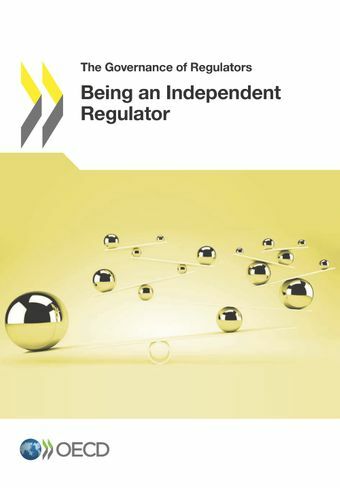 This report identifies the critical points where undue influence can be exercised at different moments in the life of a regulator and discusses some of the avenues for developing a culture of independence, including through interactions with stakeholders, staffing and financing. 88% of the regulators surveyed receive annual rather than multi-annual budget allocations, which can increase the risk of undue influence. Most of the regulators have their head appointed by the government’s executive branch. In 15% of cases, the appointment is made by parliament. Only eight regulators use a search committee for hiring a new Chair. Over half the regulators place no restrictions on pre-or post-employment of professional staff, opening the risk of "revolving doors" and conflicts of interest with industry. Only a quarter of the regulators are given a government statement of expectations on their conduct. Such formal statements can be useful to clarify roles, goals and activities. Regulatory independence is not an end in itself but a means toward ensuring effective and efficient public service delivery by market players. Independence is not static, but is an active objective which regulators must be prepared to approach continuously, requiring a mix of formal and informal, de jure and de facto elements. The life of a regulatory agency is fraught with potential entry points for undue influence, from issues linked to finance, leadership, staff behaviour to links to the political cycle. A real culture of independence will help navigate these “pinch points”. Independence cannot come at the price of accountability or engagement. Regulators need to be part of a well-functioning and transparent governance-ecosystem. Keeping their fingers on the pulse of the market through interaction with industry and consumers and having effective interactions with government institutions. OECD INSIGHTS: Regulators: the new Men in Black?